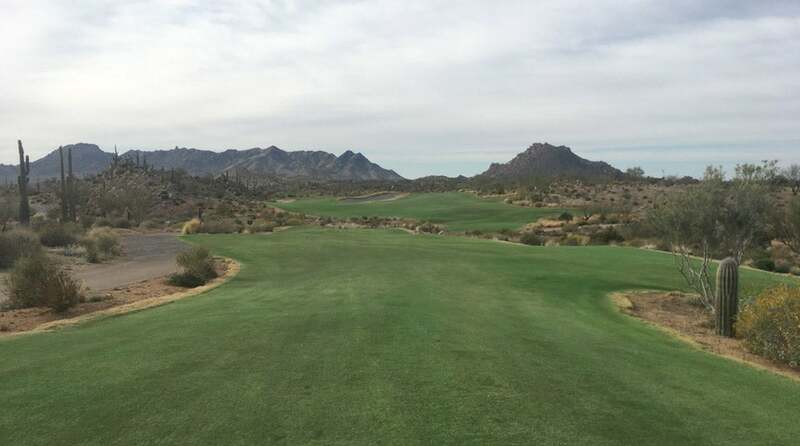 SCOTTSDALE, Ariz. — If you've seen any of PXG's latest advertisements or read any interviews with company founder Bob Parsons, then you know the brand (and the man) is unabashedly focused on producing premium golf equipment — cost be damned. So it should be no surprise that the media day celebrating the PXG GEN2 irons, the company's first iron launch in nearly three years, was a luxe experience. The first item on the agenda: education. I joined a gathering of about 17 other media members from around the world to learn about the technology behind the irons, which is extensive. After the presentation, we were invited to the ultra-exclusive environs of Scottsdale National, which Parsons acquired in 2013. The club now includes two regulation courses: The Mine Shaft and The Other Course, as well as a terrifying short course dubbed the Bad Little Nine. After enjoying an al fresco luncheon on the club's patio, we spoke with Parsons and PXG's engineers. Then it was time to experience our own custom iron-fitting. There are four GEN2 irons models to choose from. My hybrids are my favorite clubs, so I elected to try to GEN2 SGIs because I liked the forgiving, hybrid look. I warmed up with my existing set, and we used Trackman to get a baseline on my current numbers. Then, the fun began, as we experimented with different shaft lengths, flexes and grips. By the end of the session, we deemed I had gained about 10 yards of carry with my 7-iron. Woo! But the best was yet to come. A brand new set of custom-built PXG irons was going to be made overnight so I could play Scottsdale National's Other Course the next morning. Double woo! That night, Parsons joined our media group for dinner and drinks at the club. Celebrity attendees included NFL player Golden Tate, comedian Rob Riggle, and Instagram sensation Paige Spiranac. Though the menu included gourmet entree selections like branzino, Parsons told our table that the club's best item was not on the menu — the burger. Needless to say, we promptly ordered eight burgers. Bright and early the next morning, we arrived to yet another scrumptious buffet breakfast, and were greeted by sleek black PXG boxes next to our name placards on the driving range. Several members of PXG's professional and ambassador staff were also on hand for the round. My group consisted of a PXG sales rep and a media member from Japan, LPGA star Alison Lee, and Arizona Diamondbacks closer Archie Bradley — impossible not to have a good time in such company. After the round, we gathered for a drinks reception at Scottsdale National's brand new villas — built as overnight accommodations for the club's guests. The day was capped by a spin around the Bad Little Nine, where we played as a ... twelvesome. Attendees included PXG pros Pat Perez, Lydia Ko, Alison Lee, Ryann O'Toole, James Hahn, Archie Bradley and actor Brian Baumgartner. You don't often hit more than a short iron on the Bad Little Nine, but, man, my knees were shaking over each tee shot. Trash-talking was encouraged (Pat Perez is a scratch), and it was a blast to see the pros try to one-up each other. Fun day? No doubt. And a similar club-fitting experience (albeit much more private) is available to anyone willing to shell out some cash. GEN2 irons go on sale April 19.